MEVA - handgemachte Uhrenbänder : 24063 - 24mm Strap "Ostrich black"
24063 - 24mm Strap "Ostrich black"
Handmade strap, made of black ostrich with satined OEM-Buckle and black seam. The inside is in soft black leather for comfortable wearing. 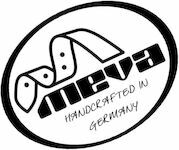 All MEVA-Straps are delivered normally with Tubes and Buckle, the Buckle can be chosen by you freely (Please specify with your order).